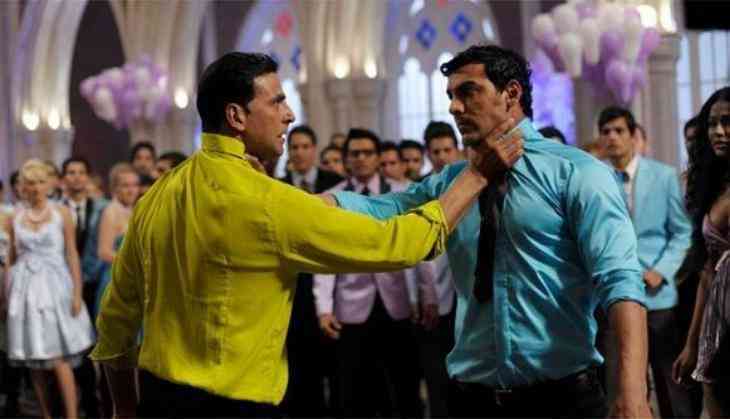 Home » Bollywood News » Akshay Kumar vs John Abraham once again! Kesari and RAW (Romeo Akbar Walter) to release together! After the super success of Satyamev Jayate, Bollywood actor John Abraham is once again ready to give a super hit. Recently one report has come out about his new upcoming movie and the release date of the film has been finalized. Today morning, the makers of RAW starring John Abraham has confirmed that their film is releasing on 15th March 2019. Yes, this film of John Abraham is now to release on 15th March 2019, and the interesting thing is that the makers chose one of the biggest clashes of the year. It is known that Akshay Kumar and Parineeti Chopra starrer film Kesari is also releasing on in the same month. Actually, Kesari is releasing on 21st March 2019. The film Kesari is based on the battle of Saragarhi and it is produced by Akshay Kumar and Karan Johar both. While on the other hand, RAW (Romeo Akbar Walter) stars John Abraham, Jackie Shroff, Suchitra Krishnamoorthi, Sikander Kher and Mouni Roy in the leading roles. Now both the films have just one week gap and this will surely affect the business of both the films. Significantly, earlier on Independence Weekend, John Abraham and Manoj Bajpayee starrer Satyamev Jayate and Akshay Kumar, Mouni Roy starrer Gold also released together. Both the film did quite amazing box office collection.